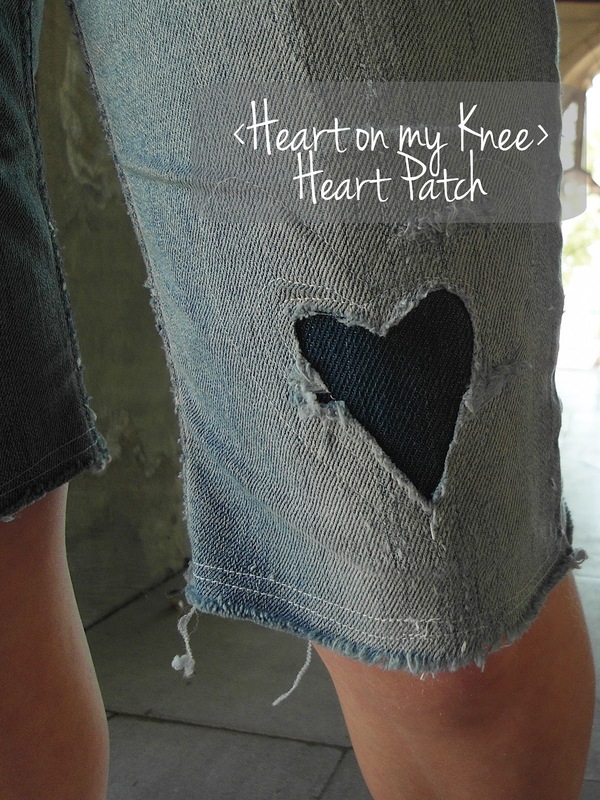 ' Heart on my Knee - Heart Hole Patch - Sisters, What! One thing about me and my jeans is that I like to hold on to them for as long as humanly possible; Especially my favorite pairs. As spring descended upon us oh so nicely, I went through my jeans to put them away for winter. One of my pairs was finally at it's wit ends...that is it was time to retire them as pants. But I knew they still had a little life left in them yet. So I cut off the bottom of the jeans, but still wasn't sure what to do with the big hole. 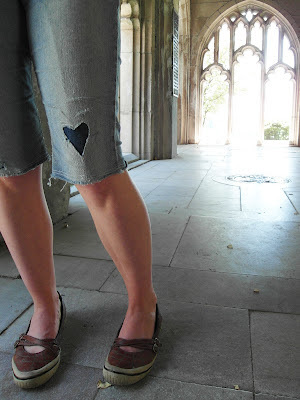 After much serious contemplation, I decided to try out a reverse heart applique. Using other scrap dark jean material, I sewed a heart under my jeans and then cut out the actual jeans to show the heart underneath. 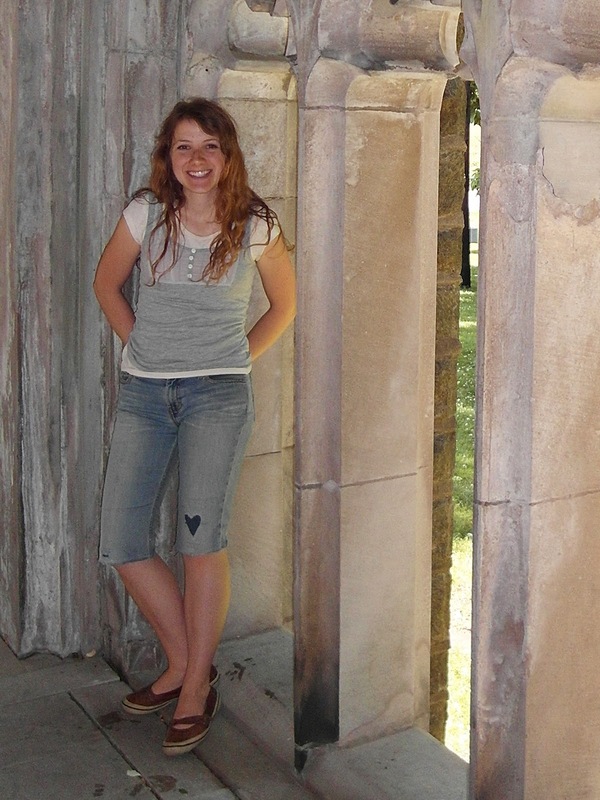 I was so happy how it turned out, but even more happy to give yet another year of life to my beloved jeans. 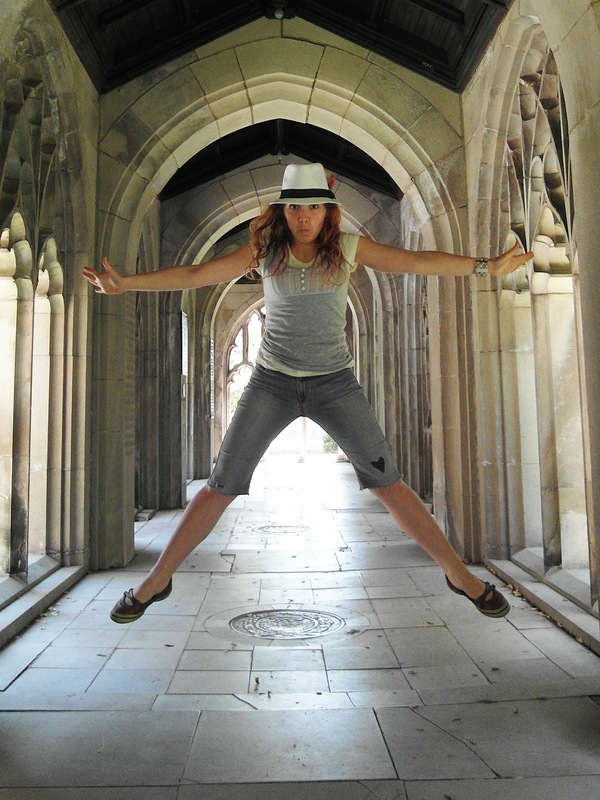 Love your jumping picture! Fun idea to fix the hole! AWESOME IDEA!! I do the same thing, hold on to my favorite jeans as long as possible no matter how many holes, if they fit just right. I will be extending their lives with your idea, thanks for sharing! Oh how clever! 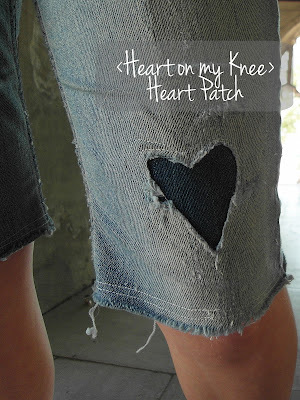 I love the reverse applique idea! That little heart is so darling! Great idea! It's a very nice idea! love it!